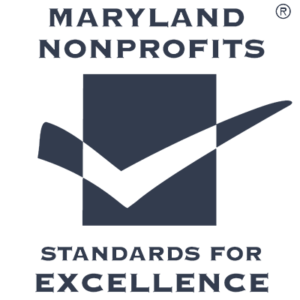 It is the goal of The Arc Carroll County to provide an example for other human service, non-profit organizations, by establishing a high standard of performance, professionalism, and ethical conduct. The Arc Carroll County intends to create an environment that fosters ethical conduct, where no employee will ever feel the need to compromise personal integrity to help achieve the mission of the agency. 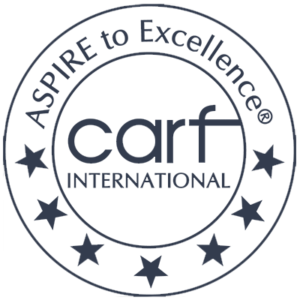 The Arc Carroll County Code of Ethics sets forth values, ethical principles and ethical standards to which The Arc Carroll County staff aspire and by which their actions can be judged. The Arc Carroll County Code of Ethics cannot guarantee ethical behavior. Moreover, the code of ethics cannot resolve all ethical issues disputes, nor capture the richness and complexity involved in striving to make responsible choices within a moral community. The Arc Carroll County Code of Ethics is relevant to all of The Arc Carroll County’s Board of Directors, staff, volunteers, and consultants, regardless of their professional functions, the settings in which they work, or the population they serve. While working under The Arc Carroll County’s Code of Ethics, the staff, volunteers and consultants must be conscientious, committed and honest in their work as well as in aspects of their private lives that are related to their respective jobs in the organization. The Arc Carroll County pledges to set the standard for professional conduct by acting with integrity. We know that acting with integrity builds credibility, both within the organization and throughout the communities within which we operate. A reputation for integrity is a significant corporate asset. The Arc Carroll County Board of Directors and the executive staff are committed to making The Arc Carroll County the most valued Arc in our field. We will accomplish this by saying what we mean, doing what we say and making a positive difference in the lives of the people we serve. Honesty – To be truthful in all our endeavors, to be honest and forthright with one another and with our consumers, referral sources, and community partners. Respect – To treat one another with dignity and fairness, appreciating the diversity of our work force the uniqueness of each employee, and the confidentiality of each consumer. Trust – To build confidence through teamwork and open, candid communication at all levels of the organization. Citizenship – To obey the laws of the land, work to make our communities more productive, and act with pride and confidence as a representative of The Arc Carroll County. We promise to apply the standard of integrity to all we do as related to: our staff, The Arc Carroll County Board of Directors, volunteers, financial practices, marketing activities, consumer services, referral/funding source interests, and other stakeholders’ issues. We are committed to the ethical treatment of those to whom we have an obligation. For our employees we are committed to honesty, just management, and fairness providing a safe and healthy environment, opportunity for career growth, and respecting the dignity due everyone. For our consumers, families, and guardians we are committed to respect, concern, courtesy, and responsiveness recognizing that service to them is our primary responsibility. For our customers we are committed to produce reliable products and consumer-driven services, delivered in a timely manner, at a fair price, and with expected outcomes. For the communities in which we live and work, we are committed to acting as concerned and responsible neighbors as we seek ways to share The Arc Carroll County’s mission with others, reflecting all aspects of good citizenship. For our funding sources and governing authorities we are committed to pursuing financial stability, sound growth and to exercising prudence in the use of our assets in a manner that helps promote the improvement of programs and services to persons with disabilities. We will conduct our business in accordance with all applicable laws and regulations. Compliance with the law does not comprise our entire ethical responsibility. Rather, it is a minimum, absolutely essential condition for performance of our duties. All employees want and deserve a workplace where they feel respected, satisfied, and appreciated. Harassment or discrimination of any kind and especially involving race, color, religion, gender, age, sexual orientation, national origin, disability, and veteran or marital status is unacceptable in our workplace environment. Providing an environment that supports the honesty, integrity, respect, trust, responsibility, and citizenship of every employee permits us the opportunity to achieve excellence in our workplace. While everyone who works for The Arc Carroll County must contribute to the creation and maintenance of such an environment, our executive and management personnel assume responsibility for fostering a context for work that will bring out the best in all of us. We are committed to providing a drug-free, safe, and healthy work environment. Each of us is responsible for compliance with environmental, health, and safety laws and regulations. Observe posted warnings and regulations. Report immediately to the appropriate management staff person any accident or injury sustained on the job, or any environmental or safety concern you may have. We must maintain accurate and complete records. Transactions between The Arc Carroll County and outside individuals and organizations must be promptly and accurately entered in our books in accordance with generally accepted accounting practices and principles. Entries into the case record must be made in a timely manner and reflect the desires and preferences of the persons receiving services, the services provided in response, and the actual outcomes achieved. Financial records and case record information must be treated with strict confidentiality. No one should rationalize or even consider misrepresenting facts, falsifying records, or compromising confidentiality. It is illegal, will not be tolerated, and will result in disciplinary action. In addition, a third party should witness all documents to the extent that one is available; if a third party is not available, then the staff person soliciting the signature will witness the document signing in acknowledgement that they have reviewed the content with the person. Playing favorites or having conflicts of interest, in practice or in appearance, runs counter to the fair treatment that we are all entitled. Avoid any relationship, influence, or activity that might impair, or even appear to impair, your ability to make objective and fair decisions when performing your job. When in doubt, share the facts of the situation with your supervisor. Management is responsible for the detection and prevention of fraud, misappropriations, and other inappropriate conduct. Fraud is defined as the intentional, false representation or concealment of a material fact for the purpose of inducing another to act upon it to his or her injury. Destruction, removal or inappropriate use of records, furniture, fixtures and equipment. The Executive Director has the primary responsibility for the investigation of all suspected fraudulent acts. If the investigation substantiates that fraudulent acts have occurred he will issue reports to appropriate management personnel, and, if appropriate to the Board of Directors. Decisions to prosecute or refer the examination results to the appropriate law enforcement and/or regulatory agencies for independent investigation will be made in conjunction with legal counsel and senior management, as will final decisions on disposition of the case. Any employee who suspects dishonest or fraudulent activity should notify the Executive Director immediately and should not attempt to investigate the matter personally. All information will be treated confidentially. While the matter is under investigation, the employee should not discuss the matter with anyone other than the Executive Director or any person he may designate. No action will be taken against an employee who, in good faith and with reasonable grounds, merely reports suspected fraudulent activity. If an investigation results in a recommendation to terminate an individual engaged or complicit in fraudulent activity, the matter will be reviewed by the Human Resources Director and outside counsel before any action is taken. The Arc of Carroll County will act responsibly in developing advertising and promotional opportunities so that the objective will advance The Arc and its mission. All outreach materials and efforts will be accurate and truthful in its representation of the organization and anyone portrayed in them. The Arc of Carroll will respect the privacy and dignity of all people receiving supports, family members and donors in all marketing, promotional and outreach efforts. People receiving supports and their families will be represented in a positive light in all marketing and outreach materials used to promote The Arc of Carroll County. They will not be exploited or portrayed in such a way as to generate sympathy or pity. People receiving supports and their families can be assured that confidential information regarding their relationship with The Arc will be protected. The Arc will have or will obtain permission to use the images or likenesses of people receiving supports and/or their families in marketing or promotional materials. Gifts will be used for the purposes for which they were given. Donors will receive prompt and truthful answers to any questions they have when making a donation. Donors will receive appropriate acknowledgement and recognition. Donors may request that their names be deleted from any public recognition. Confidential information regarding individual donors and their gifts will be protected. Gifts will be processed expediently and all funds will be handled in an appropriate manner. The Arc provides numerous resources for all employees to assist them in the conduct of business. These include, but are not limited to, office equipment and office resources. These resources are the property of The Arc. Therefore, they are to be used for the conduct of business of The Arc, and not for personal business. The use of The Arc’s telephone during business hours for personal calls is not prohibited, but it is important that such calls be kept to a minimum. Employees are prohibited from charging personal long distance calls on agency phones. Employees residing in The Arc homes will be billed for their personal long distance calls. The use of personal cell phones at work, during business hours, is to be kept to a bare minimum, preferably in emergency situations only. Employees are requested to have their personal mail sent to their home address. When personal mail is received at the office, care will be taken to deliver it to the addressee unopened; however, The Arc can assume no responsibility for personal mail. All relationships between supervisors, employees, and people receiving support shall be maintained in a professional manner. Any gift or donation with a value estimated up to $10,000 may be accepted by the executive director or his/her designee. A value that exceeds $10,000 needs to be approved by the board of directors. Gifts or donations that cannot be valued through readily available sources may be subject to a valuation by a qualified third party. Gifts or donations that are viewed as not in keeping with The Arc’s mission or are determined as not in the best interests of The Arc may be declined. Acknowledgement of all gifts or donations must follow IRS procedures. Furthermore, all gifts or donations and acknowledgements must adhere to the Association of Fundraising Bill of Donor Rights, which is approved by the board of directors. Any allegation of violation of The Arc Carroll County’s standards for integrity will be taken seriously and thoroughly investigated by the appropriate executive staff member or governing authority. Investigations of allegations will be initiated within five (5) days of receipt of the allegation. In those situations where a potential breach of an established professional Code of Ethics may have occurred, the allegation will be reported in writing to the Executive Director within five (5) days and The Arc Carroll County’s Board of Directors will be notified of the allegation within fifteen (15) days of notification of the Executive Director. Any investigation will be completed within thirty (30) days of initiation with results reported to The Arc Carroll County’s Board of Directors within ten (10) days of the completion of the investigation.